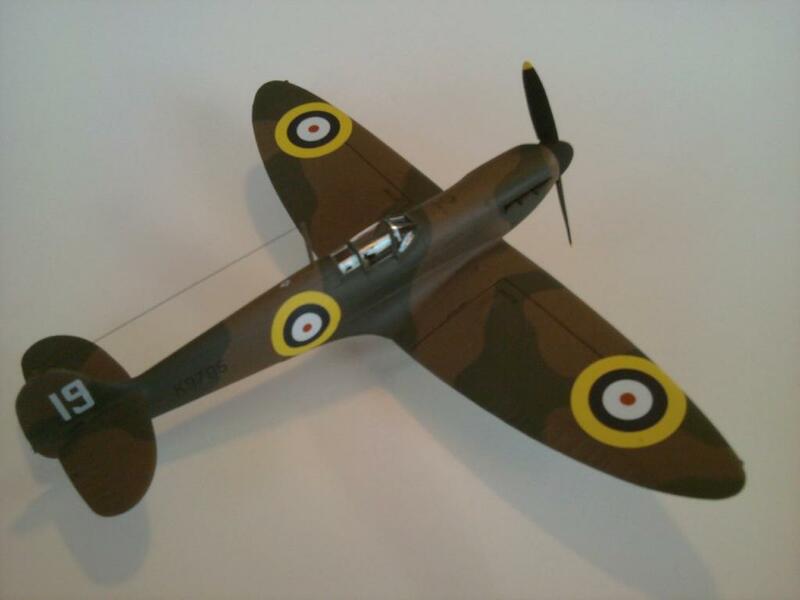 This is an Airfix kit finished with Humbrol enamels over Tamiya lacquer aluminum. The roundels are from Superscale. 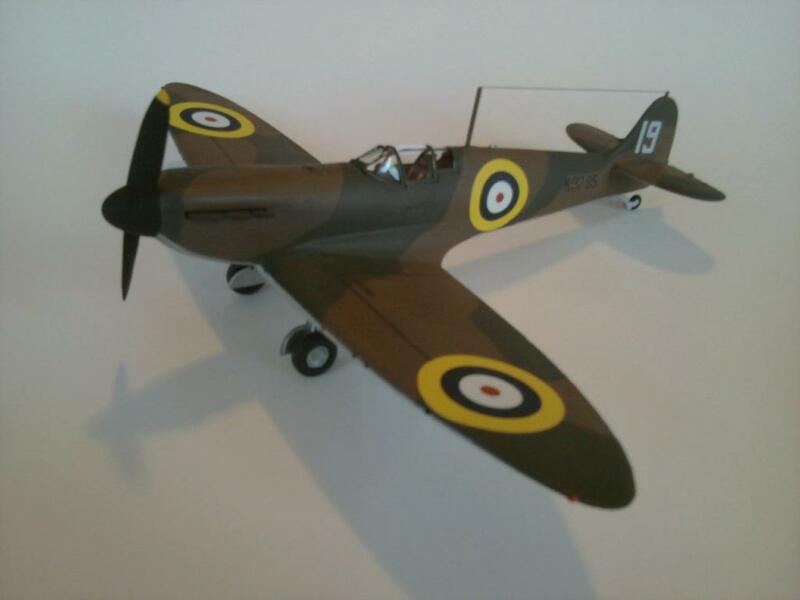 The kit is a bit thick and chunky in areas, but is an easy route to a very early Spitfire. Built with care, it looks the part and I’m happy to have it in my display case! 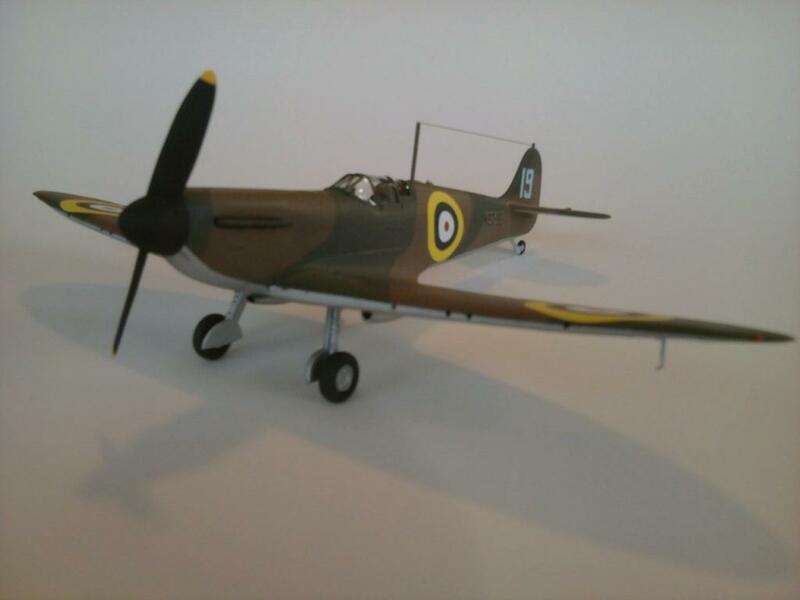 I think this was the last pre-Hornby Spitfire released by Airfix. The newer XII, Seafire XVII, and PR.19 are light years ahead of this one in quality. Still, it’s a fun kit of an important variant. Thick and chunky? Blasphemy! Maybe if it were a can of Campell’s soup (or my spouse, shhh), but all I see is a Spitfire (a well built one at that) and there is nothing thick and chunky about this bird. I know I have this kit somewhere in my stash and I remember it got very good reviews when it was released. I also recall some complaints about the shape of the rudder, but from what I can see, its all good. 10/10! Terrific job, nice to see another early Spit here. Mk.I through Mk.IIa are my favorites. Not that I have any qualms with mid to late marque Spitfires, but the early marque Spits are my absolute favorites also. Dark earth and dark green with a sky type S fuselage band, aaahhh, lovely. Just found out today that Revell of Germany announced an all new tooled Spitfire Mk II in 1/32 to be released this Summer. Ain’t that always the way! I work on an older kit, trying to bring it up to today’s standard and once I am done, some model company releases an all new tooled version of the same kit. Makes me wonder if these model manufacturers have cameras hidden in my study. O meu primeiro scratch, num submarino da Revell Class 214. Tentar reproduzir algo semelhante ao original, visto em fotos.